The firing of the co-founder of the Southern Poverty law Center came as a shock, but perhaps more shocking were suspected reasons for his firing. 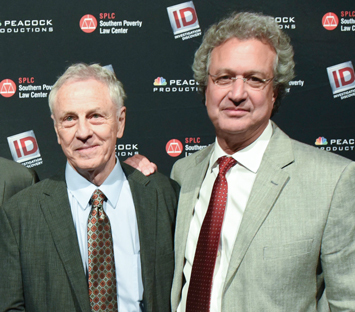 Morris Dees, who long served as the leader of the controversial group, told news organizations he had no idea why he was fired. Media outlets reported on concerns SPLC faced internal strife connected to a hostile work environment, concerns that the group used racial fears to feed its juggernaut of a financial operation and charges of internal racism and sexism. “When one of our own fails to meet those standards, no matter his or her role in the organization, we take it seriously and must take appropriate action,” said Mr. Cohen, who declined in media interviews to get into the details of what forced the change. He also praised Mr. Dees for years of civil rights work. An attorney, Mr. Dees led a successful campaign in 1987 that won $7 million in damages against the United Klans of America for the family of a 19-year-old Black man, Michael Donald. His body was found hanging from a tree in Mobile, Ala. While many saw the group, which includes civil rights leader and politician Julian Bond as a co-founder, as an opponent of the KKK and similar groups in previous years, its annual designations of certain organizations as hate groups has drawn concern. One major concern came as SPLC named the Nation of Islam, which does not espouse race hatred or violence, was added to that list. Nation of Islam Minister Louis Farrakhan condemned the designation and has called for SPLC and Mr. Dees to prove their spurious charges. Nation of Islam Student Minister William Muhammad, flanked by community leaders in Milwaukee, recently blasted SPLC for the hate designation, which was reported on by media outlets in his city. The allegations of hatred among registered members of the Nation of Islam in Wisconsin were “defamatory and unjustified,” he said. And, William Muhammad added, airing so-called SPLC findings presented the mosque, Believers, family, children and guests as the face of hatred. “We do not take the escalation of this slander lightly. In an environment of heightened racism, violence and Islamophobia, to target our mosque is a grave injustice and is an injustice to the community we serve,” stated Student Minister Muhammad, reading from a statement prepared by Minister Farrakhan. “This label on the Nation [of Islam] has no merit in law or in fact. Labeling us with groups such as the KKK, Neo-Nazis and other White supremacists, who have a record of hate and violence in the city of Milwaukee [is unfounded],” he said. Mr. Dees told national media outlets he didn’t know what motivated the change and pointed out the Cohen statement did not accuse him of any wrongdoing. This is not the first time the center has had to face public questions about its internal operations. “In 1994, The Montgomery Advertiser published an eight-part series on the S.P.L.C. that included allegations of discriminatory treatment of black employees. The report included accounts from staff members accusing Mr. Dees of being a racist, and suggested that black employees felt threatened. The center and Mr. Dees denied the accusations,” said the New York Times. According to the Non Profit Times, the 82-year-old Dees was less active with the SPLC in recent years and in “the only public statement from the organization, it was implied that the termination had to do with workplace conduct. … According to the L.A. Times, ‘A letter signed by about two dozen employees—and sent to management and the board of directors before news broke of Dees’ firing—said they were concerned that internal allegations of mistreatment, sexual harassment, gender discrimination, and racism threaten’ ” to jeopardize SPLC. “The SPLC’s most recent federal Form 990, for 2017 and filed in October 2018, showed that Dees earned more than Cohen. Listed as the ‘chief trial counsel,’ the Form 990 shows he was paid $375,181 with other compensation of $41,767. Cohen was paid $364,799 with other compensation of $42,742. The organization, known in nonprofit circles as a fundraising powerhouse, had total revenue of $121,975,162 on contributions of $111,176,287. The Form 990 also showed investments totaling $471,046,609,” the Non Profit Times reported March 15. “The center has faced complaints in the past that it does not employ enough black staffers. In an internal email to the organization’s legal department announcing her departure … a black attorney suggested the center needed to create a more inclusive work environment. ‘As a woman of color, the experiences of staff of color and female staff have been particularly important to me ... and we recognize that there is more work to do in the legal department and across the organization to ensure that SPLC is a place where everyone is heard and respected and where the values we are committed to pursuing externally are also being practiced internally,’ ” she wrote in an email, the Los Angeles Times said.